TTC Awarded Harvard Pilgrim Foundation Grant! We just received the great news that our YAP! 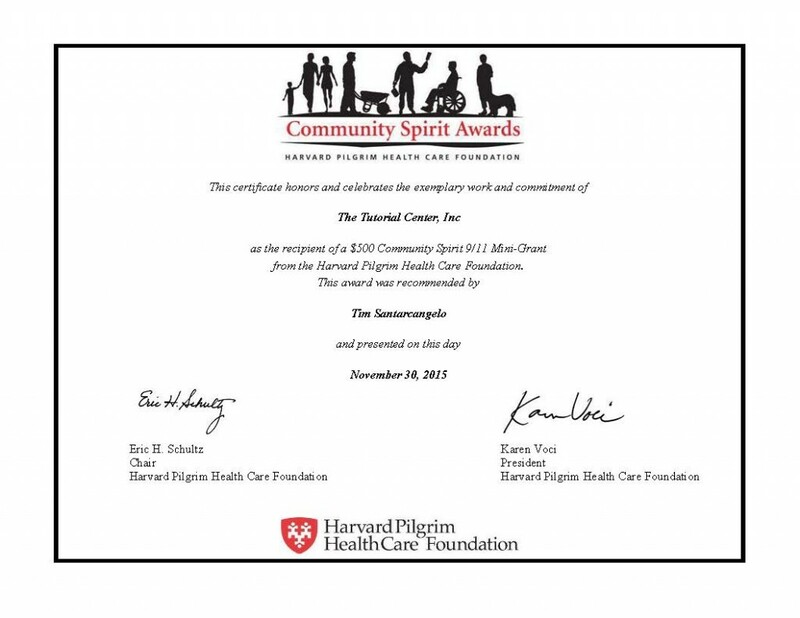 program has been selected for a Harvard Pilgrim Health Care Foundation Community Sprit Award. The award was established to honor and encourage the spirit of community caring awakened by the tragic events of September 11, 2001. Harvard Pilgrim Health Care created a special fund to help their employees direct mini-grants to local community programs, helping to improve the places where we live, work and play. The Harvard Pilgrim Foundation board recently created the Harvard Pilgrim Healthy Food Fund to support nonprofit organizations throughout Harvard Pilgrim’s service areas that make fresh (and often local) food easier to find and buy. In an effort to support our colleagues at Harvard Pilgrim who get involved in giving and service projects that focus on fresh food, the Foundation will add an extra $50 to the 2015 $500 mini-grants that support healthy fresh food programs. We will certainly put the grants to good use, fueling our mission of providing agriculture education to students and fresh, local food to the community!